*No one would deny nowadays that English Language Teaching (ELT) has gone through multiple changes as a result of important innovations and adjustments in the areas of teacher training and development, curriculum design and materials production. The growing number of publications, organizations, institutions, materials, tests and conferences on ELT clearly indicate that this field has not remained static and invariable, just the opposite. In the new approach, teachers cannot be locked into traditional models in response to different forms of communication and communities as they evolve. Teachers are the agent of change and set the right condition for language learning occurs. This event will give the community of professional English educators a chance to think about the way they teach and the principles which underpin their teaching, meet others within the field, get expert advice, discuss ways to negotiate the pitfalls common in the classroom, enhance their awareness of the current state of teaching English as a foreign language, as well as how to incorporate new strategies and materials into lessons to help learners achieve their goals. Don’t miss this early morning opportunity, transform your teaching and become a powerhouse in the profession! 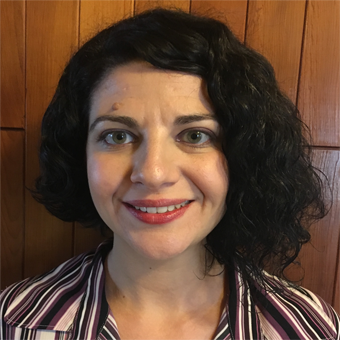 Alexa Varriano graduated with a dual Bachelor’s degree in International Studies and Psychology from Middlebury College in 2004 after which she lived in Romania, Albania, England and India to pursue a career in international development with a focus on education. In 2005, she was awarded a Fulbright fellowship to conduct research on women’s and children’s rights issues as well as teach in the English-track social work department at Babeș-Bolyai University in Cluj-Napoca, Romania. Her piqued interest in post-Communist countries and their educational systems led her to Albania, where she co-founded a non-profit organization called TAMAM Albania. Through her work at TAMAM, she organized non-formal educational interventions for marginalized youth and personally led the program’s English-language teaching component. Simultaneously, she launched a social business called M-Power where she taught English in Albania’s capital, Tirana, and channeled the profits back into the non-profit organization, using English teaching as an instrument for sustainable development. Interested in understanding what predicts the effectiveness of social and educational interventions as well as how to measure it, she pursued a Master of Science in Evidence-Based Social Intervention at the University of Oxford. There, she came to understand that teacher effectiveness is the foundation to successful educational interventions, which led her to work towards a full-time career in teaching. Returning to her hometown of New York City in 2012, she joined the NYC Teaching Fellows program and earned an MA in TESOL at Hunter College. 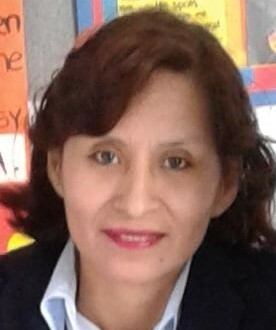 Now, after six years of teaching at two bilingual high schools for Spanish-speaking immigrants and three years of serving as a teacher coach and trainer as well as an adjunct professor in linguistics at Hunter College, she is excited to work with the Peruvian Ministry of Education to achieve its goal of nationwide English literacy. What language teacher has not struggled with teaching grammar in an interactive, engaging way? 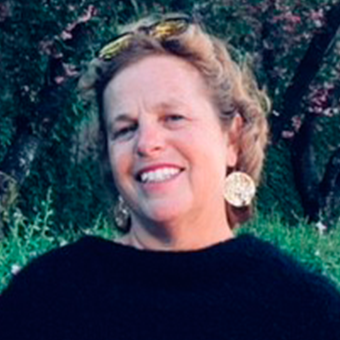 In this plenary, Ms. Alexa Varriano will present teachers with a brief research justification for teaching grammar through noticing activities followed by an array of different strategies to bring grammar alive in the classroom. By the end of the talk, teachers will be armed with a new set of tools that they can bring to their classrooms to help students focus on form while having fun! 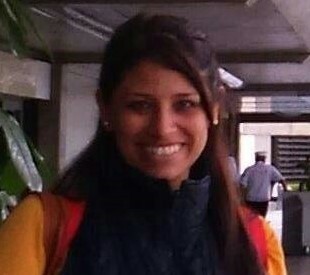 Angelina Telenta is the academic consultant of University of Dayton Publishing Peru. 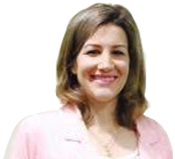 She is a licentiate in Education with national and international experience in the ELT field. 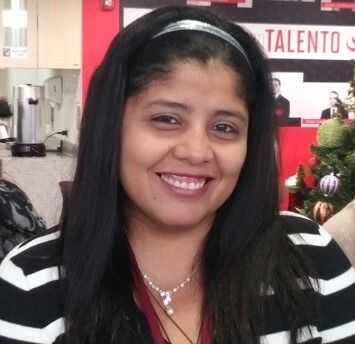 Holds a diploma in “Teaching Children” from Universidad Católica de Avila – Spain; a diploma in “Bilingual Teaching” from University of Dayton and she is about to get her Master degree in TEFL. 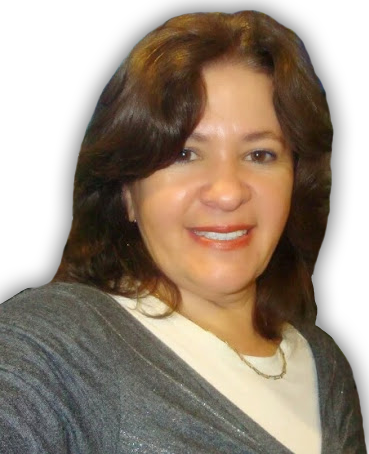 She has worked at PUCP’s language institute and faculty of education and for San Ignacio de Loyola University as well. She teaches methodology and provides educational consultancy at different levels of education. “You are the person who has to decide. Whether you’ll do it or toss it aside; you are the person who makes up your mind. Whether you’ll lead or will linger behind. Whether you’ll try for the goal that’s afar. Or just be contented to stay where you are”.Edgar A. Guest. Let’s meditate on the route our teaching practice has taken up to now, to see how far or close we are from the kind of professional we want to be. Our choices determine if we remain the way we are or if we keep on working hard our way to reach happiness and success in the personal and professional life. Professor Silvia Rosa Pinto Huaman, is in the Coordination of English, in Dirección de Educación Secundaria at MINEDU, she is currently an english instructor at Universidad de Ciencias Aplicadas. She worked at Dirección Regional de Educación de Lima Metropolitana as the Regional English Coordinator, and she has worked as a profesor at Universidad Nacional Federico Villareal as professor in the EUDED Program, at USIL ADEX, San Martin de Porres University, Escuela Militar de Chorrillos, Instituto Superior Pedagógico Privado San Marcos, Universidad de Ciencias y Humanidades; she was the consultant at Language Center of Universidad de Ciencias y Humanidades as well. She has a wide experience in teaching English at private and public high schools. She has got a degree in Spanish and has finished the 2° Speciality in English Teaching. 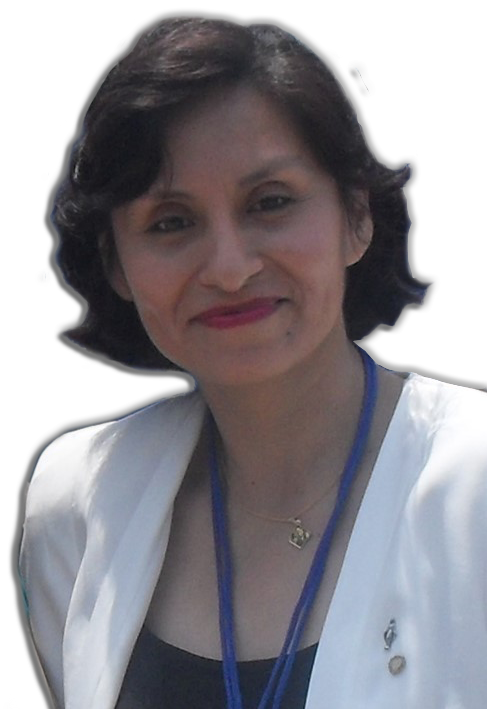 She is a candidate for the Master degree and has finished the Diploma in Proyectos Educativos y Cultura de Paz at PUCP. Our country has a national policy for English, “Inglés Puertas al Mundo”; which promotes the learning and the use of English language, with the aim of contributing to the development of our country. Since 2015, the implementation of some strengthen programs and scholarships, for English teachers in order to improve students learning have been taken place. Especifically in the secondary level of basic education, there will be other interventions and good news for Teaching English in Peru. English Language Teacher for almost 34 years, holding a degree in teaching English from Universidad Villarreal. 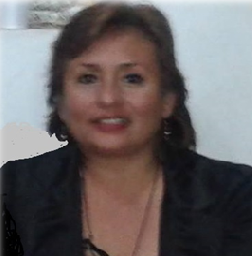 She has participated as a speaker in conventions and training courses for ESL/EFL teachers around Peru. English teacher at well known schools and universities. After all those years she joined NUTESA where she is currently working as part of the Academic staff. English communication can be fun and meaningful when teachers apply activities to encourage students speaking in their classrooms. It is imperative to understand that these activities need to be well designed or modified in order to develop this skill. In this session we will present some strategies that can definitely encourage learners’ participation, contributing to improve their oral production of the English Language. Students will feel motivated and they will participate interacting with others enthusiastically developing this competence in meaning-focused communication. Nowadays engaging students in dynamic language acquisition has become a challenge that should go beyond a loaded lesson plan. Students need to recognize their goals and learning objectives as well as how to accomplish them by using knowledge. In this plenary, we will explore some components of an effective lesson adapted to the orders of the 21st Century. Rocío has been a teacher of English for almost 16 years. She holds a degree in Education teaching English as Foreign language. She holds certifications in Higher Education, Teaching and Learning with Working Adults, Teaching in an Online, Hybrid and Blended Learning Modality and English Teaching as a foreign language, issued by Laureate universities and Laureate Languages Online. She had worked at PUCP and College of the Holy Cross (Massachusetts, USA). Since 2011, she has been working at UPC (Universidad Peruana de Ciencias Aplicadas). She’s currently working as a full-time professor in the School of Translation and Interpreting. Rocío is also the Coordinator of the New Technologies area in the same school. TECH TOOLS FOR THE (Soon-To-Be) TECH – SAVVY TEACHER! Talks, seminars, workshops, the 5 Cs and so much more. Are we taking advantage of technology as a helping hand (tool) in our classes? My guess is YES. But, what about us? What kind of technology do we need to enhance our teaching practice? Allow me to share a set of tools that might come in handy towards our professional development as teachers. Come with a mobile or electronic device, let’s connect with technology (for real)!. I have over twenty five years of experience working with language learners. My experience includes teaching English as a Second Language, Sheltered Content classes, Students with Limited and Interrupted Formal Education (SLIFE), International Baccalaureate (IB) English and Adult Education. I have worked as an instructor, Department Head, Instructional Coach, and Program Director. This work has taken place in Massachusetts public schools, Venezuela, and Harvard University’s Institute for English Language. For post secondary schooling, I attended Babson College in Wellesley MA as an undergraduate earning a BS degree in Business Administration. In 1995, I earned a Masters Degree in TESOL from Salem State University in Salem, MA. Building on four of the components of 21st century skills: collaboration, creativity, communication and critical thinking, the focus of this workshop is on student centered activities that build vocabulary and increase communicative competence in the English language classroom. These activities build opportunity for student centered interaction in the classroom. The strategies presented can be adapted for teachers to use with a range of English levels from beginning to advanced. Attendees will come away with routines and strategies that they can use in their classroom tomorrow. 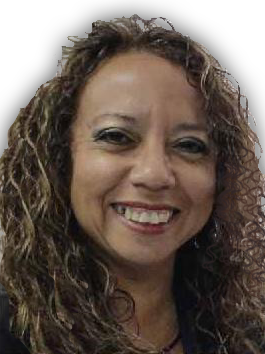 Katia Adrianzen has been an English teacher for more than 20 years and a speaker for different organisations like IATEFL and TESOL PERU. Nowadays, children are overwhelmed with technological devices therefore teachers are making a great effort to update themselves in how to use the latest tools, new approaches and varied strategies in order to inspire these 21st century children in English classes. This session will let us make our lessons more enjoyable and meaningful for them. Join us and discover what a powerful teacher can do now! Educator, Coach and Teacher Trainer. 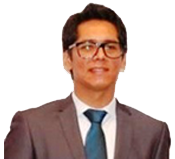 ICPNA Academic Coach in Sede Miraflores with more than 10 years working as an English Teacher. Bachelor in Art by UNMSM, complemented with an International Diploma in Human Resources Management by ESAN and a Diploma in Education Management by Universidad del Pacífico currently studying a course in Educational Coaching by UPCH. His interests include languages and literature, sports and his pets. Starting from the idea that mistakes are natural part of the learning process, what can we do to help students understand this as an opportunity for improvement? Join this session to share ideas and tips in a collaborative environment –and our options to increase learners’ production. Jessica Ramirez Bernuy is a certified Cambridge Trainer, holds a bachellor degree in Secondary education with a major in English teaching as a foreign Language from San Marcos University and she has made her Master degree studies in Higher Education at the same university. Jessica has taught abroad in U.S.A as a Fullbright Scholar in 2017 working as a Spanish teacher in California and in North Carolina as a Consultant for the World Language department of the Cumberland County District and as a Spanish teacher in New Century International Middle school from 2013 to 2016. 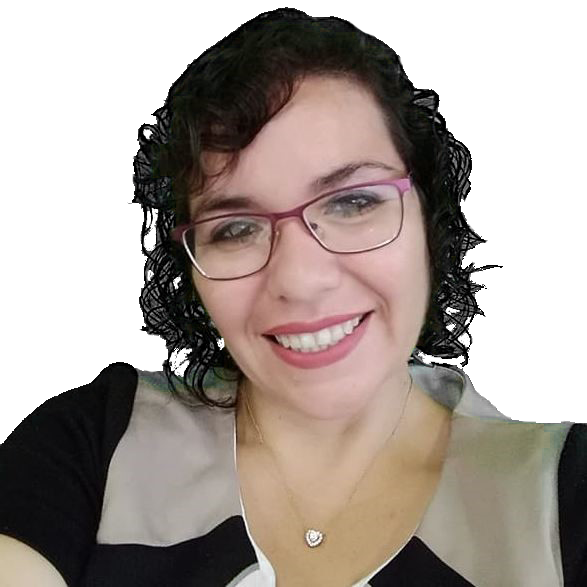 She has 18 years of experience working at schools and universities like Ricardo Palma, Universidad Nacional de Ingenieria, Cesar Vallejo and San Marcos. Jessica has given workshops for the Plan Piloto program from the Ministry of Education, Pearson and Ingles a tu Medida. Jessica is currently the Academic Director of “Inglés a tu Medida Language Center”, an ELT Consultant and specialist for Pearson and teaching at Senati Language Center. Monitoring learning and providing ongoing feedback and assessment can be used by teachers and by students to improve learning in a very significant way and can also help us make our job more effective and efficient, but it is also one of the factors in learning that students fear most. In this workshop we will see how to incorporate formative assessment in order to help students identify their strengths and weaknesses, and also help teachers recognize where students are struggling and address problems immediately. We will also learn how to use assessment to make learning more meaningful and memorable and to get rid of the Assessment TOTAL FEAR Factor. Miss Cayetano is a Licentiate in Education with a major in Philosophy and Social Sciences from Universidad Inca Garcilaso de La Vega. She holds a Certificate of English from the University of Michigan and TKT Certificates from University of Cambridge. She has also followed courses on Methodology at Centro de Idiomas de la Universidad del Pacífico and University of Dayton. Currently, she is pursuing a Master degree in Management. She is the English Staff Coordinator at San Vicente de Paul School and teaches English at ICPNA. Sharon believes in the power of gratitude both as prayer and as a motivation to serve! One of the main problems we all face, when teaching English is maintaining students’ interest throughout our lessons. Consequently, we often have to be very creative in the techniques and resources we use in the classroom. An interesting way of maintaining students’ motivation and developing their talents is the use of stories, songs and crafting in English. Everyone is talented in one way or the other. In this workshop, we will focus on practical examples on how to improve student’s engagement and make them more productive.